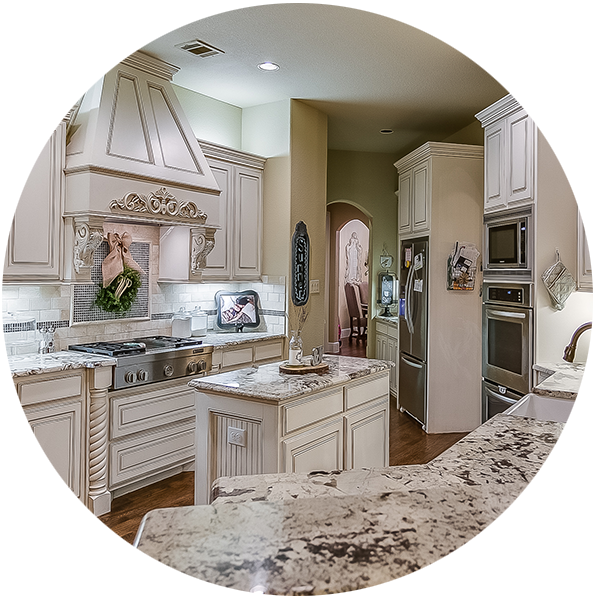 Waterford Parks is an opulent master-planned community of beautiful homes in west Allen. There are over 600 homes in the neighborhood built between 2001 and 2015. 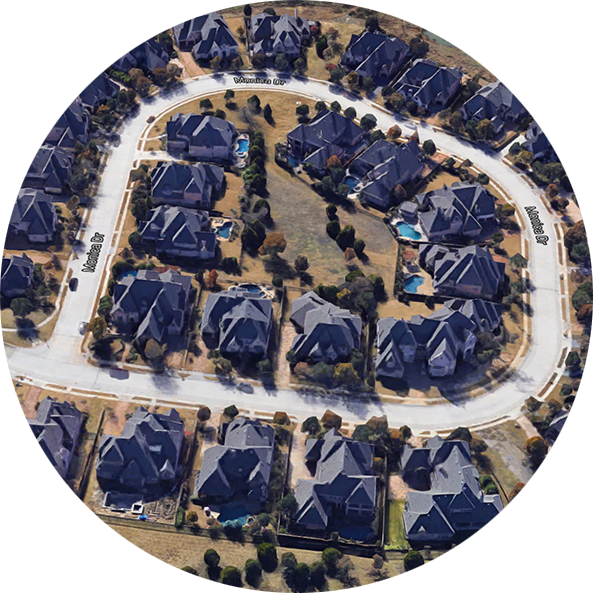 The neighborhood is within minutes to shopping, dining and entertainment. It is well-located to give residents easy access to Hwy 121 and Hwy 75. 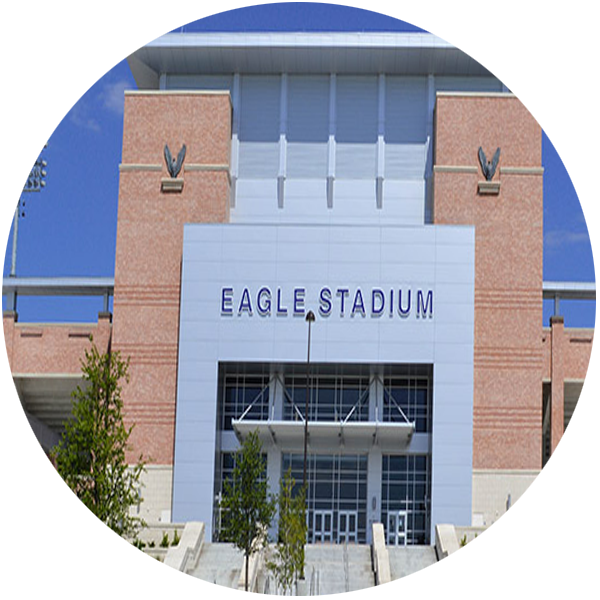 Resident students attend distinguished Allen ISD schools. Cheatham Elementary, Curtis Middle School, Lowery Freshman Center, and Allen High School. Waterford Parks boasts two amenity centers - one with a junior-olympic sized swimming pool and the other with a children's splash park. Additionally, one of the most picturesque hike & bike trails winds through the neighborhood along the wooded creek. There are so many wonderful perks in and around Waterford Parks. 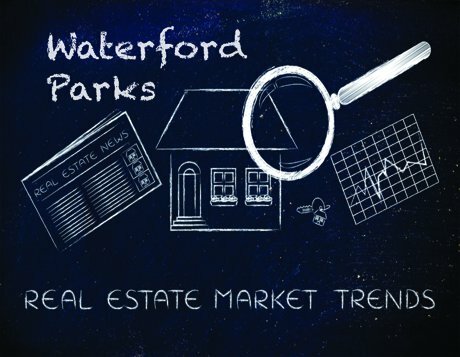 From shopping to dining to recreation - Waterford Parks has it all. The neighborhood itself has amenity centers, the "Rocketship" park, and a hike and bike trail. Close by are shops, restaurants, fitness centers, and entertainment venues. Click on each item below for more information on some of our favorites. 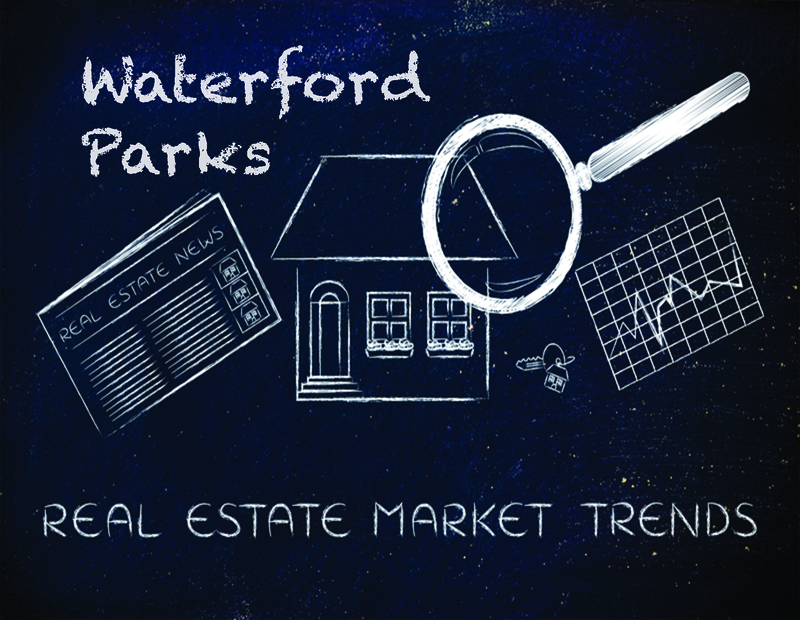 The First Quarter Stats are in for Waterford Parks! 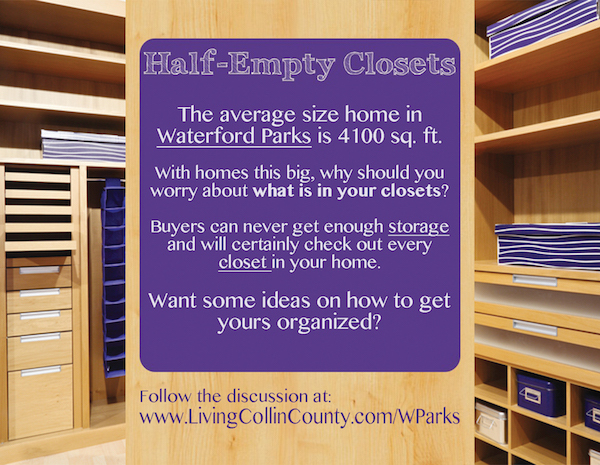 This month we focus on preparing your home in Waterford Parks to sell. Homes in this neighborhood are a great size. Even though these homes are spacious, buyers are still interested in storage. 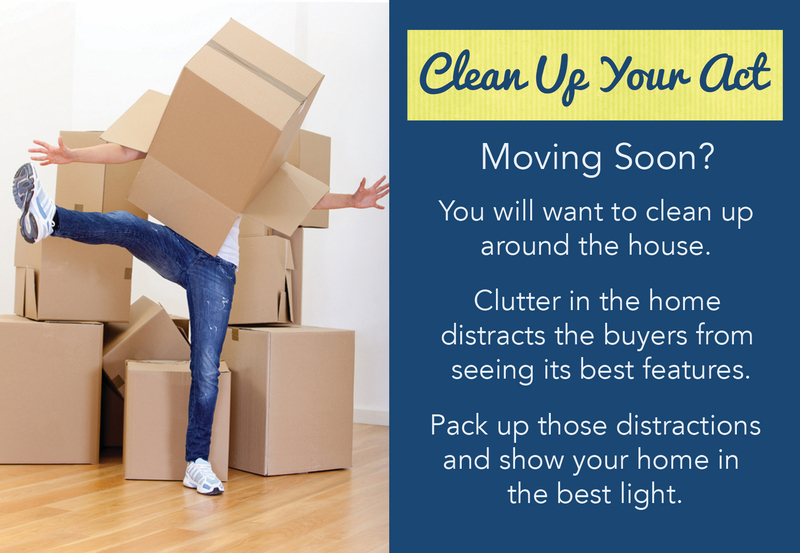 Be sure to make all of your storage places neat and tidy. 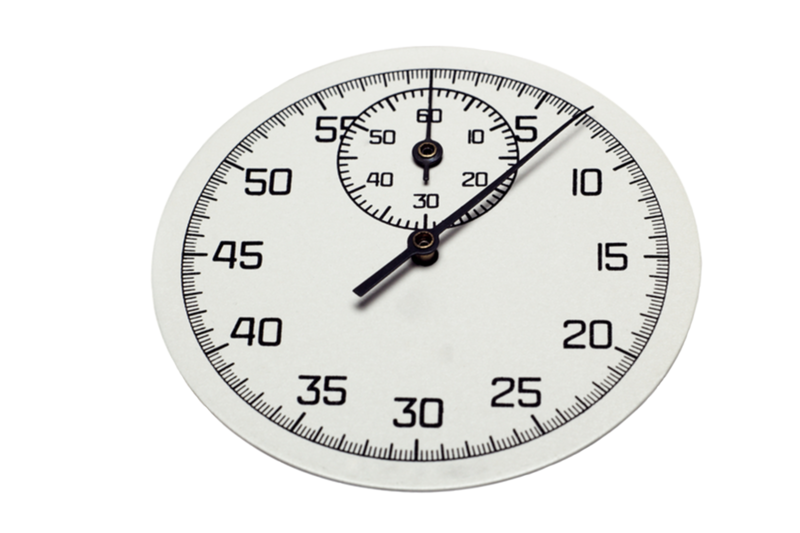 This article gives some great advice and outlines a plan to get your spaces organized. 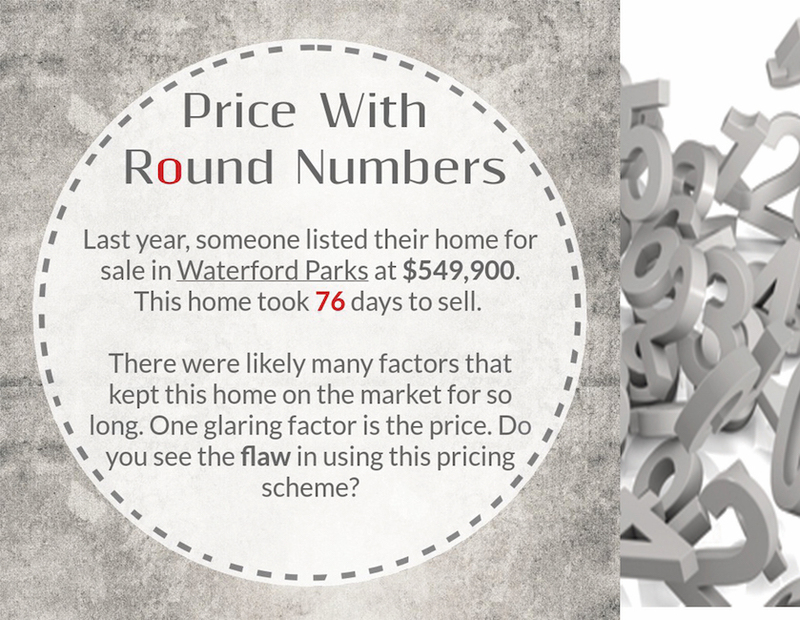 Are You Pricing Your Waterford Parks Home Correctly? Read my article on smart-pricing your home. 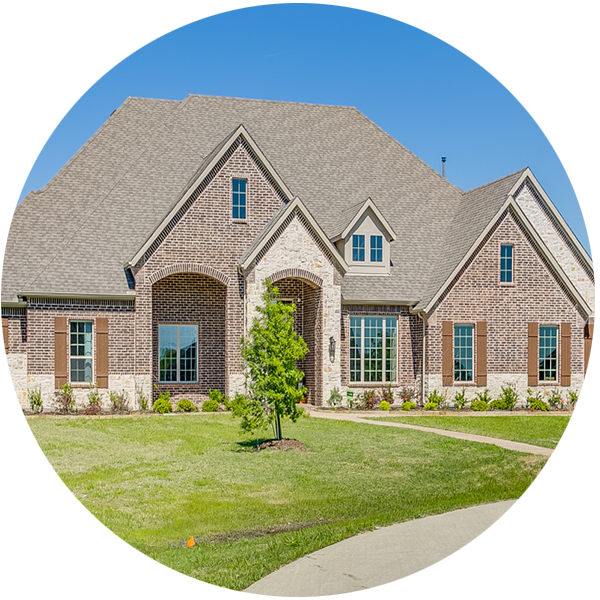 When you are ready to sell your home, contact me to get started. 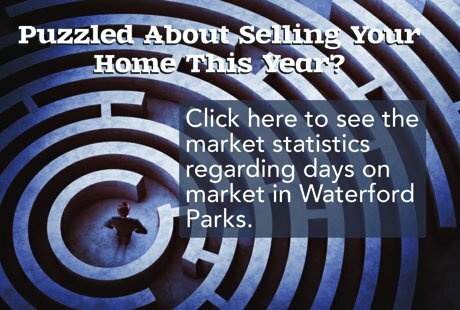 Thinking of Selling Your Waterford Parks Home? Work with a neighborhood specialist like myself. I've got a great plan to get you started and much more information to share with you. Contact me to get started today.